Text messaging marketing, often dubbed SMS Marketing, is one of the most cost effective ways for a business to acquire new customers, and to convert those customers into repeat buyers. The beauty of using SMS marketing is that it is extremely cheap – and nearly everyone has a cell phone that they check constantly. We’ve all received those text messages, almost every phone operating system requires us to open the text message and read it in order to clear it from our little notifications bar. That means eyeballs on your marketing, and an increased likelihood of a conversion. SMS Marketing is so inexpensive because a short burst of letters can be sent to enormous lists of customers over existing communications networks, without the involvement of any creative media or rich data. It takes the content creator a few minutes to get set up (there’s a host of text messaging providers out there, many of which compete for the lowest prices) and launch a new text message. Analytics provide data for which texts work best, their close and read rate, and how many of those texts are driving conversions. Further, advanced SMS strategies include texting phones with images, hyperlinks, and other rich data to provide for a more enticing click (and improving your CTR and Conversion Rates) but also improved tracking and analytics. For example, a marketer could create two or three types of coupons, texting out an image of the coupon that can be scanned in their store or used online. Each coupon can have a different affiliate URL or redemption code, allowing you to better track which of these elements is actually successful. The majority of classic customer retention programs, such as through email and direct mail, are now defaulting to the spam folder or trash can. Text messages aren’t able to be so easily ignored or filtered out, and many customers engage and convert with the cheap advertising platform more readily than the most expensive platforms. 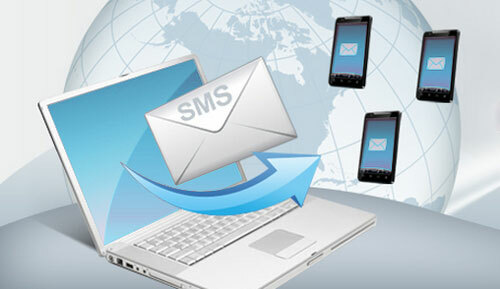 As a marketer, you’re able to market PC to phone, leveraging these SMS programs for your benefit, all at very low cost. Other than just straight information, SMS marketing can be used for community building and engagement – creating incoming content, getting reviews, and even using it to vote. For example, a local radio station in Sacramento, California makes use of SMS marketing to allow users to vote on their current playlist, and submit songs that they wish to hear. Not only are these numbers then collected into the radio station’s phone bank, they’re responded to with SMS marketing, letting them know that their song is on, that there are coupons for their swag on their website, and similar. This is a brilliant relationship building exercise, as the customers feel valued and like they are an exclusive part of the community, and the company gets a valuable repeat customer that they can target with SMS marketing. As a marketer, you should always respect and value your customer’s privacy and attention. Bombarding thousands of customers that have provided their telephone numbers to you will not only get you no sales, it will decrease your likelihood of getting repeat sales and earning new and valuable customers. So while it might be tempting to blast SMS marketing to your phone list every day or every week, careful consideration should be done to ensure you’re respecting your customers.